For years, I used to mock my older siblings for being older and needing glasses. Then … as I crept towards the big 4-0, I, too, needed to get glasses. 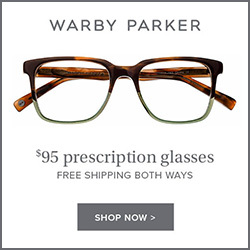 Naturally, I want glasses that look great and help me see things clearly. 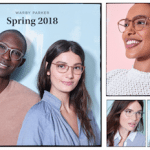 Aren’t these Warby Parker frames cute? 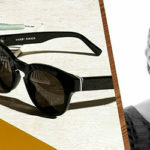 The Limited Edition Carmichael Frames were inspired by Beck as a promotion for his upcoming Song Reader concert. 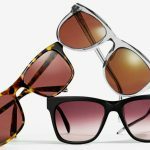 There are two different styles available for men and women. You can order your frames now. Since they are a limited edition, they’re only available while supplies last. 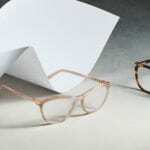 To learn more about these eyeglass frames and the Warby Parker and Beck collaboration, you can visit http://www.warbyparker.com/song-reader.